The holiday season is the perfect time to enjoy the spirit of giving away prizes, and FortuneJack is not to be left out with its exclusive promotion beginning this month. The FortuneJack YouTube Video Contest is the latest promotion on deck the Bitcoin casino, but it is unlike the typical Christmas and holiday bonuses and promotions that require playing Bitcoin slots and other games. Striding away from the usual bankroll-boosting campaigns, this FortuneJack exclusive opens a refreshing and interesting portal where participants can earn lucrative amounts of Bitcoin out of their uniqueness and creativity. Participants of the FortuneJack Video Contest can win up to 10 BTC when they place first in this one-of-a-kind contest in Bitcoin gambling. 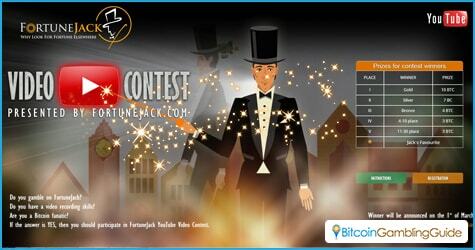 Their mission is to show why FortuneJack is the better Bitcoin casino. The mechanics for this contest is just simple. Partakers must only have to keep in mind that their video must use the FortuneJack tagline ‘why look for fortune elsewhere?’ Their entries must run three to 15 minutes, and must have a video and audio quality not lower than 480p. Moreover, the content of their video must feature the promotions, affiliate program, and the special features of FortuneJack like its in-house cryptocurrency exchange and Bitcoin purchase systems. The entry must also discuss at least three games available in the FortuneJack game library. Ultimately, participants must make sure that their entries are family-friendly. This means no profanity, violence, or any malicious elements should be portrayed. They must also not bypass any copyright laws like using trademark brands and other logos. All submitted entries are subject for evaluation, provided that they meet the last day of the registration and uploading of videos on Jan. 15 next month. Accepted videos will be uploaded on YouTube and the participants will be provided with the link via email. Winners will be determined based on the overall views their videos have garnered all throughout the campaign, which will be from Jan. 15 to Feb. 29, 2016. In order to land on the third place spot, entries must generate at least 7,000 views. 10,000 views, on the other hand, are required to be able to hit the second place title. Meanwhile, the video that garners over 15,000 views will be crowned as the champion of this FortuneJack promotional campaign. A grand total of 10 BTC will be given to the contest’s first placer, which will be followed by a Bitcoin prize worth 7 BTC and 4 BTC for the second and third place winners. 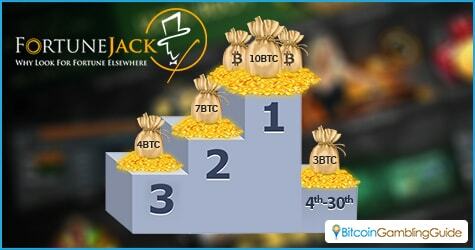 Honorary victors like the fourth to the thirtieth placers will receive a total of 3 BTC each. 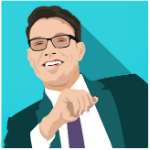 On another note, the Jack’s Favorite award will be given to the entry that has been personally handpicked by the moderators of this Bitcoin casino. Of course, the titleholder for this reward will receive special and exclusive perks courtesy of FortuneJack.